To further strengthen community and agency responses across the County, we are introducing a network of champions to bring together practitioners from a range of agencies. The champions will act as a point of contact and 'in-house' specialists within services. The champion network will be supported by the Safe in East Sussex Team and will initially be piloted in the Domestic Violence and Abuse, Sexual Violence and Violence Against Women & Girls (VAWG)’ work areas. Contribute to any data collection as appropriate, working with the Safe in East Sussex team to measure impact and outcomes. 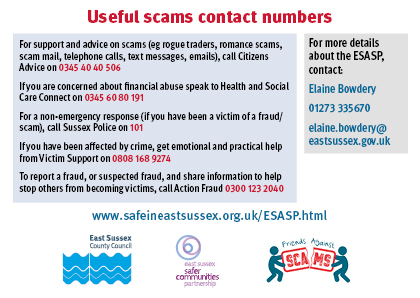 If you or your organisation would like to find out more about Domestic Violence and Abuse, Sexual Violence and VAWG Champions, please email safercommunities@eastsussex.gov.uk. If you are part of the Children’s Workforce please note that your email will be directed to the Children’s Workforce Champion pathway. Find details of www.ourwatch.org.uk here. If there isn’t a scheme in your area, your local police station can tell you how to set up a new group. Neighbourhood Panels help to create strong partnerships between local people and the organisations responsible for their area. There are meetings that are chaired by local people. The meetings are set by the local community and give local people and communities more influence over decision makers, so they can improve their quality of life. Contact your local police station for more information. We are keen to share information with partners and the wider public and the image below highlights the different ways you can keep in touch with the team.